Little Marc Jacobs Dress w12084 by Little Marc Jacobs at Blood of The Young. MPN: SKU-A3C2284F. Hurry! Limited time offer. Offer valid only while supplies last. 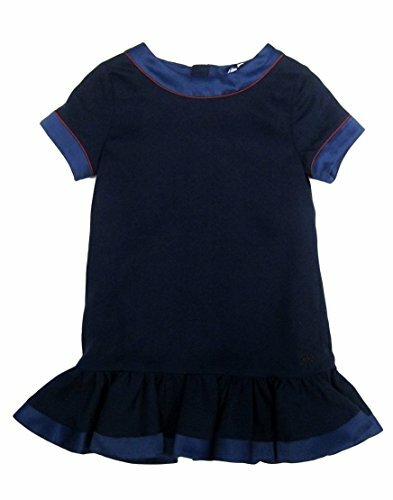 Little Marc Jacobs elegant dress for girls. Dark blue twill dress with ruffled bottom, blue satin trim around neckline, sleeves and ruffle. Zipper at backside. Blue colored mouse embroidery by hemline. Dress is fully lined. Material is twill:100%Lyocell, Lining:100% cotton and Satin trim and ruffle lining is 100% polyester. Made in Tunisia.